The defense of the Altoaragonés team was injured in Montilivi against Girona. In the next few days the club will decide day and place to go through the operating room. Pablo Insua will be in the dry dock during the next six months for the rupture of the anterior cruciate ligament of his left knee suffered in the clash last Saturday in Montilivi. The resonance confirmed the worst omens and Francisco loses for the remainder of the season to a key player on your team. Insua had become thanks to his latest performances in the leader of the rear of Huesca, recovering the level that led him to leave transferred to Schalke 04, but the untimely injury leaves Francisco without one of his four central. Insua had started in the last nine games. The player came to Huesca on loan from the German team, where he was a season without minutes after suffering a heart problem. In the Bundesliga could only play a game and signed for the Huesca team with the aim of returning to feel football player, but his knee The left has played a dirty trick when it seemed a fixed in the plans of the coach of the colist. The technician has found the reaction in his team thanks to the system formed by three central and urgently needs the arrival of a player who can supply the hollow that Insua leaves. To cover that vacancy, the Catalans can incorporate footballers with a contract in force, as it is a long-term loss. An opportunity that the Altoaragoneses will not waste and look for in the market to a defense that completes the current defenders: Pulido, Etxeita, and the newcomer Diéguez. A the arrival of a defender, adds the aspiration oscense to be done with a goalkeeper within the market of unemployed players. Moved days are expected inside the offices of El Alcoraz and they need to close the two signings as soon as possible. 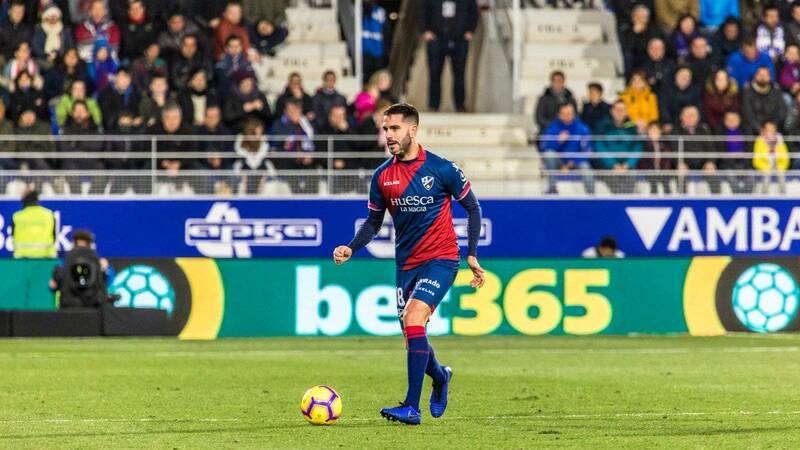 El Huesca has the advantage that at the moment it is a more attractive club than during the winter market, since the last seven points make more attractive the project of a bottom that expects to maintain its progression, after having cut five points to the positions of permanence after the two last victories. Francisco granted his players two days off after the victory in Montilivi. The people of Huesca will return to exercise this Tuesday at the facilities of the Pyramid Institute. The coach will recover for the visit of Athletic Bilbao to Cucho Hernández, after having served his penalty game for accumulation of yellow and Yangel Herrera, who could not play for a "clause of fear" he had in his assignment contract by Manchester City. The safe losses for the party next Monday are Melero, Luisinho and the aforementioned Etxeita.